July 2016 – Authorities state remains found near Cochiti Lake on the Rio Grande were those of Randy Bilyeau, the Santa Fe New Mexican reported. 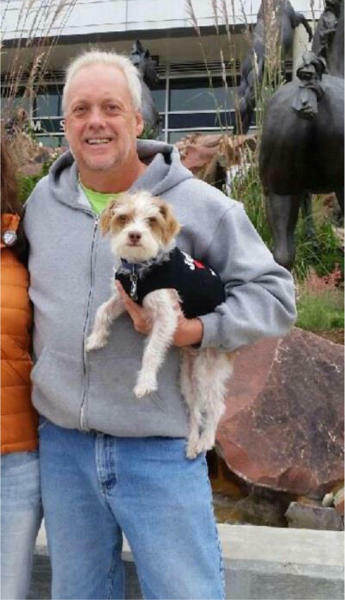 Randall Bilyeu, 54, from Colorado has gone missing near Sante Fe, NM on Thursday, Jan. 4, 2016. Randall’s car, a 2009 Nissan Murano was found in a parking area on Buckman Road, the following day. The spot is used by those that like to go hiking. Police said that Leo, Randall’s little dog was also found. An inflatable raft was found about 9 miles downstream, and it may have belong to Randall because police were told by Randall’s friend he had just bought a raft. Randall is 6’1″ tall, 200 pounds with gray hair and green eyes. If you have any information about him please call the Santa Fe police at 505-955-5038.